Senior NCEA media classes also use the facility. 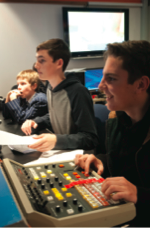 This year the Year 12 TV class made a children’s show in collaboration with the St Andrew’s Preparatory School, using the studio linked to a second facility set up there, all linked by an outside broadcast truck. The Year 13 TV classes produced a show called ‘Christchurch 2030’, which was a look at the way the city could be 20 years on from the first of the earthquakes. We again used two facilities and the OB truck, screening four documentaries produced by the students with five panelists discussing issues, hosted by presenters. 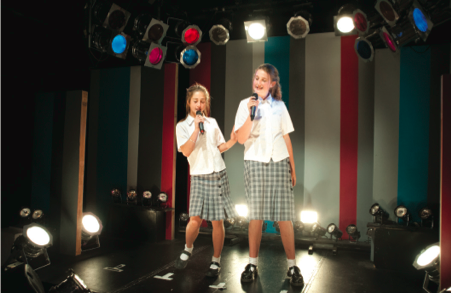 The shows made by the facility are normally used only for the classes, although some do get uploaded to the College’s YouTube channel and promoted through the marketing department to both current parents and the wider College community. 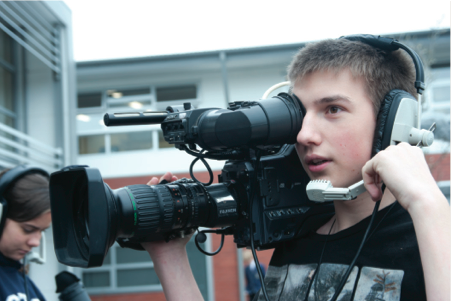 The fact the TV facility creates a ‘real’ working environment has influenced a number of students to go on to media careers. Alumni return regularly to support me and the team. Tim Murdoch, Technical and Studio Manager at Whitebait TV, makers of ‘What Now’ and ‘The 4.30 Show’ works with the Year 9 group on Mondays and Senior Audio Engineer Stave Hartley is also a regular visitor. The students love the opportunity to learn from industry professionals and it adds a real point of difference to the programme. 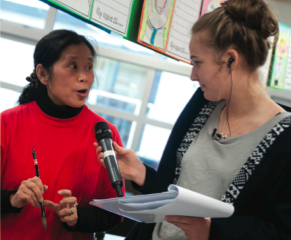 A TV studio is not necessary for NCEA but I believe we’re here for more than grades or credits; we are about giving a rich media experience, it’s about education in a wider sense. This entry was posted in eLearning, Media Studies, Technology and tagged Adobe, Adobe Peremiere, Cameras, Film, Information and communication technologies in education, Interface Magazine, Key Competencies, Media Studies, NCEA, NZ Curriculum, Preparatory School, Secondary School, Sony, Student Work, Technology, Television, TV, Video, YouTube by Sam McNeill. Bookmark the permalink.